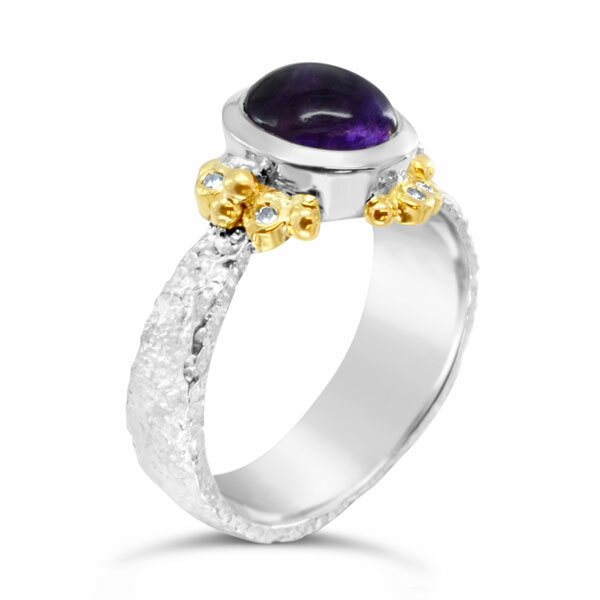 An unusual hand made amethyst diamond ring. The tapering white gold shank has a rough “reticulated” finish. The 18ct yellow gold “granulation” or bead work clusters around a 10x8mm African Amethyst faceted gemstone. The granulation has been highlighted by the addition of tiny diamonds in some of the beads. 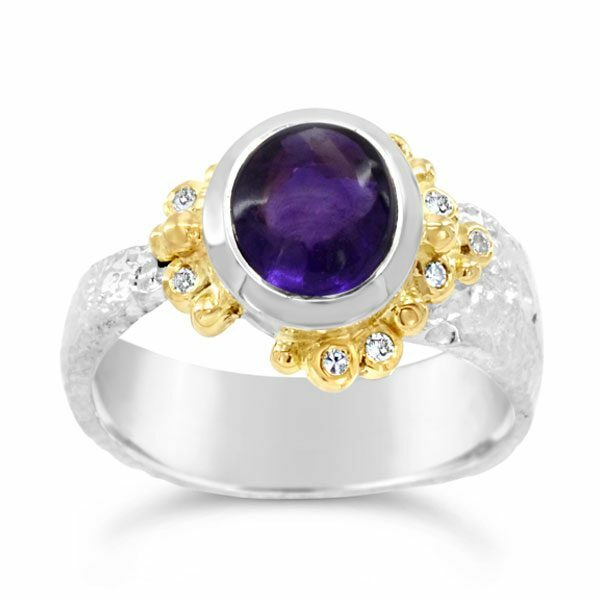 The amethyst is set in a white gold rub over setting. This ring was commissioned using a clients own gold and gemstones of sentimental value. If you love it’s look then commission something similar today.